This is a great design for anyone that's involved in Track. 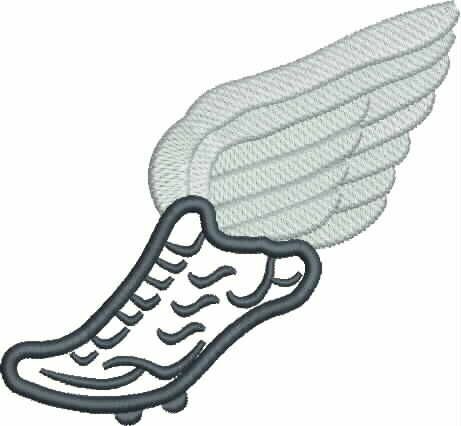 This Track Shoe applique is perfect for Sweatshirts, Tees, Tanks and more! 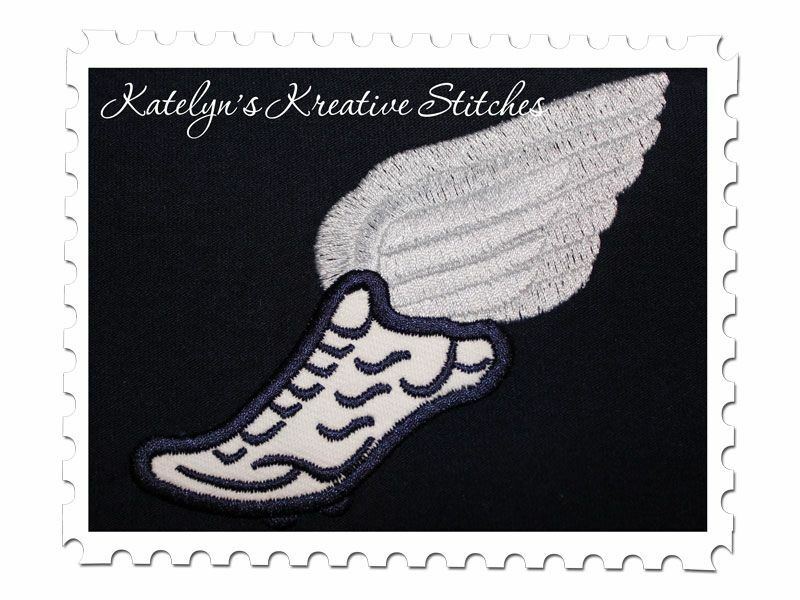 The shoe is done in an applique while the wings are done in a nice fill stitch. This design will fit in the 4x4, 5x7 and 6x10 hoop sizes.